I love sweet corn but like eating it off the cob more than on. 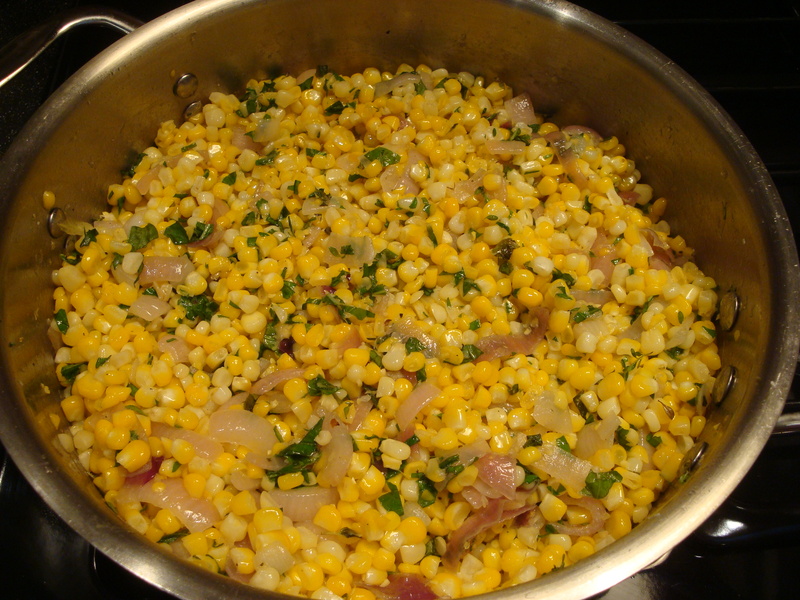 This is my basic way of sauteing corn, but other vegetables can be added (tomatoes and limas would make succotash!) and the herbs can be varied. 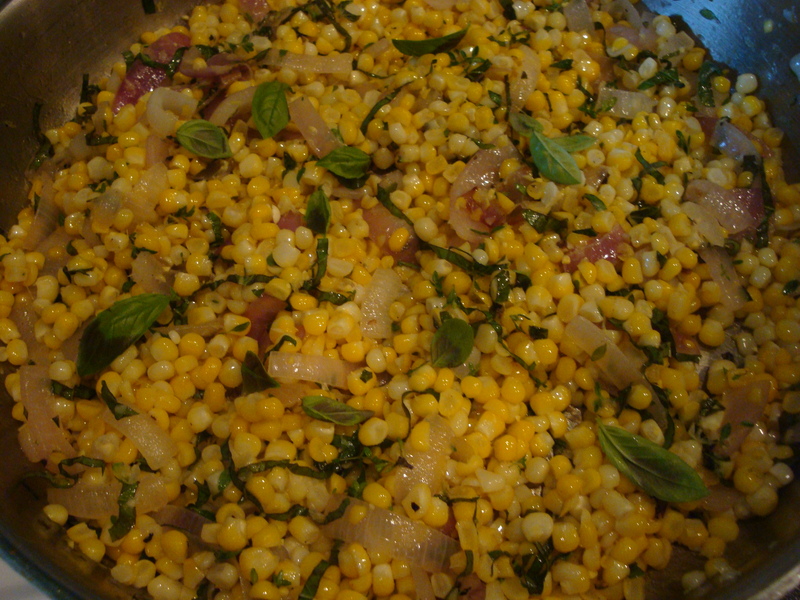 Heartier herbs like oregano, thyme, sage and rosemary are best added with the corn. If using tender herbs like basil, mint and cilantro, add these right before serving. We served this with our lemon-garlic grilled chicken and a delicious sauteed kale dish we posted last summer – it felt like the perfect meal for a delightful summer day. Heat a large saute pan to medium high, add the olive oil and heat till shimmering. Turn down heat slightly and add butter. Add onion and saute for 5-7 minutes till soft and starting to brown. 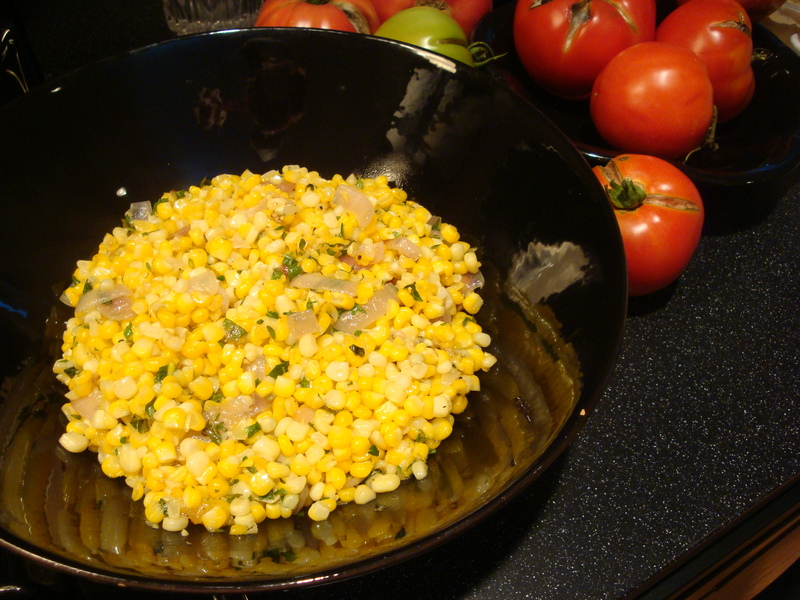 Add corn, thyme and oregano and saute for another 5 minutes or so until corn is heated through. Remove from heat and stir in the basil. Salt and pepper to taste.